The Hydraulic Dampener (EHD) is extremely effective in suppressing the sound and pulsation present in hydraulic elevator systems. The EHD has a minimum burst pressure of 6000 psi with an ASME A17.1/CSA B44 allowable working pressure of 1200 psi. The Oil Cooler (OC) is extremely efficient in cooling the oil in the hydraulic elevator machine room in which it is installed. 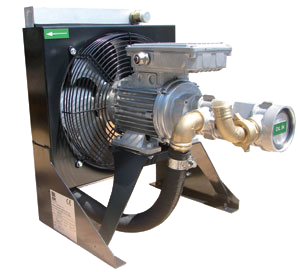 The heart of the unit consists of a triple screw pump which is highly reliable and quiet. The Tank Heater (TH) is simple to install and operate. 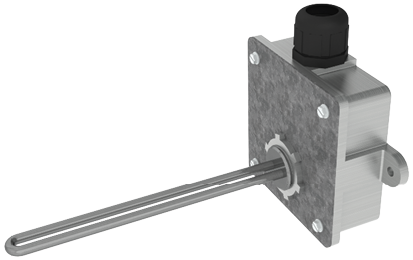 Designed to keep your hydraulic oil at the optimum operating temperature in cooler environments to provide optimum operation of your hydraulic elevator system. Pre-Set 110° F Thermostat, 120 Volt AC, 250 Watts, 2.1 Amps, Oil-Tight Fittings included. The Shut Off Valve (SOV) is used to isolated one section of the system from another. 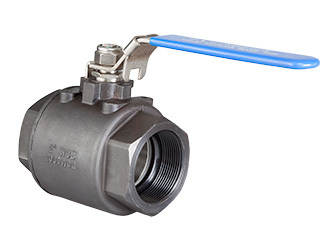 All Shut Off Valves are constructed of ductile iron bodies and use a stainless steel ball. A locking device is standard on all sizes. The EECO’s Load Weighing Kit (LWK) is an addition to a new or existing Power Unit to prevent the elevator from being overloaded. The switch can be wired into the controller, if the provision is available, through either a normally open or normally closed contact. The Oil Level Sight Glass for hydraulic elevator power units is used to visually inspect the oil level in the tank. 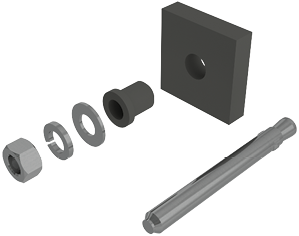 It is available in 1” Diameter with NPT threads. The Valve Return Filter (VRF) is a passive oil filtration system attached to the tank return port of the valve. The VRF allows you to easily comply with the ASME A17.1/CSA B44 Rule 8.6.5.1.1 by capturing particles 5 microns in size and larger preventing the buildup of debris within the tank making it easier to clean. 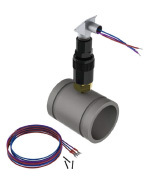 A Float Level Switch (LOS) is used to detect the oil level in a reservoir. 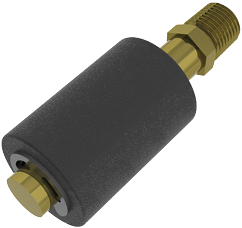 The 1-3/16” diameter float helps to limit surges that might occur. The switch is UL recognized and CSA listed for a maximum of 3 amps @ 250 VAC with a SPST. The standard configuration is normally open which can be changed to normally closed, by inverting the float on the units stem. Mounting is accomplished by 1/4” NPT and electrical termination are two 18 AWG, 39” long wires. A thermostat that is field adjustable by a fine adjustment trim screw which can activate a viscosity control system. The thrermostat is UL and CSA recognized for a maximum of 1500 watts at 230 volts AC with a single contact. The unit has a heat sensitive base plate which can be mounted directly to the outside of a hydraulic tank or by an aluminum “L” bracket with little loss of sensitivity. This switch can be used to control pump/motor running in bypass mode to heat up the oil in lieu of a tank heater or as a control to turn on/off an oil cooler and/or a tank heater. The switch is normally closed and is open above the set temperature. 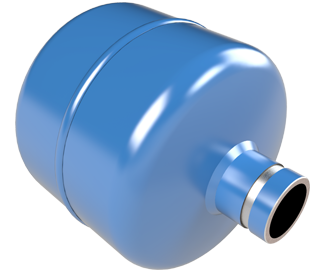 The EECO Carbon Desiccant Breather (ECDB) is provided as a contamination control breather technology to reduce particulate, moisture contamination, and hydraulic oil odors by moisture absorption. 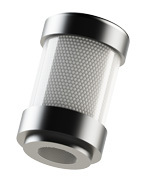 These are supplied as Replacement Desiccant/Filter Cartridges for ease of service and fully disposable. The size available is a 5” dia. by 8” long with a slip fit 2” FNPT Connection. The medium is an activated carbon, synthetic graphite, and silica gel. Applications: MRL Hydraulic Elevators and standard machine rooms requiring substantial hydraulic oil odor control on hydraulic elevator systems.